Finding a PCB company that offers solutions from A to Z for sourcing, design, engineering, and manufacturing is big a challenge. PCB circuit boards have been dominating the industry for a while now. Almost every commercial or industrial organization uses PCBs in their electrical and electronic commodities. However, new improved gadgets or weapons are appearing every day. PLI international is a brand that is aware of the global demand for PCBs. The PLI international team will assist any client in finding the perfect solutions for their PCB projects. What kinds of materials does PLI International favor? PCB circuits are the backbone of every electronic device in the global market; which is why you should contemplate choosing professionals like PLI international for buying your PCB circuits. 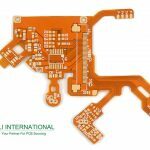 First and foremost, the PCB material used by PLI International are high quality. The selection is done to give customers the best quality products. One can find top quality PCB circuit boards with just one click from PLI International. Does PLI International follow the latest PCB trends? PLI International is a proud follower of the latest PCB technology trends that have been incorporated into the PCB global economy. PLI International strives to use top quality PCB material and equipment to create circuits that cater to smarter gadgets. As a part of an increasing demand for consumer electronics, PLI International uses latest PCB technologically advanced mechanisms to generate top grade circuit boards which are long-lasting. Semiconductors are essential PCB circuit equipment mainly useful for manufacturing audio, video, and communicative gadgets; all commercial and industrial devices use semiconductors. 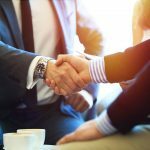 PLI international implements itself as one of the largest PCB sourcing affiliates for the semiconductor manufacturing companies and strives to satisfy the demand of its clients. PCB circuit boards have now gone beyond simple commercial and industrial services. Today, in the defense industry and medical field, PCB circuits are used as prime components. In order to cater to this, experts from PLI International manufacture exclusive circuits to suit the all-purpose needs of diverse applications. PLI International is a sourcing for PCB circuits serving clients all over the world. With 25 years of market experience in the US and another 10+ years of experience in the overseas market; this company has in-depth knowledge of the latest technological trends. Moreover, their affordable price and custom solutions ensure that clients receive the best products each and every time. Anyone can contact them today, look at their services, and get top quality customer assistance, just in time-logistics, with timely delivery for the next PCB project. We constantly trying to get better at what we do, and by listening carefully to our customers, our suppliers and our employees. We have fully staffed offices in Anaheim, California and China.